There is no doubt that adding on certain perks to a home (like maintenance-free exteriors, for instance) will definitely drive up the price of a house, right? Well, not necessarily and in the case of our Stonehedge community, located in the heart of Carlisle PA, not at all. 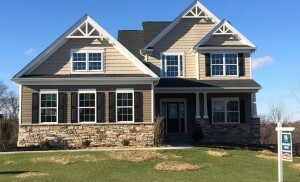 In fact, residents of Stonehedge are able to enjoy an unrivaled experience living in their community since their exteriors are maintained by the HOA, which includes snow removal and lawn care, a real convenience during the winter and summer months. What happens if you fall in love with a floor plan or home but you aren’t so interested in a specific community? Or maybe you don’t want to live in a neighborhood at all – maybe lots of acreage down a winding dirt road paints a better picture of your ideal home. For those seeking something a bit more outside the box, a solution is not far from reach. Enter to Win an Apple Watch Before It’s Too Late! 2. Watch our new video about eTech™ (set as our featured video on Facebook). 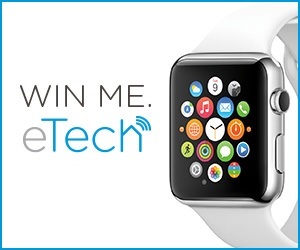 Go eTech, and Win an Apple Watch! This is a quick delivery home from Newbury. Most people have video game consoles and Frozen™ dolls on their holiday list this year, but for those of you wanting to shoot just a bit bigger, there are few times that are better to purchase a new home than in December. 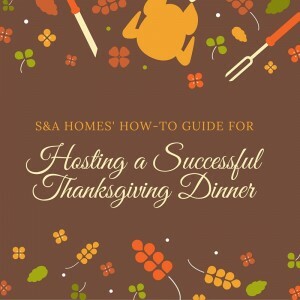 S&A Homes is ready to help with year-end discounts and in some cases, ultra-convenient 100 percent financing programs. 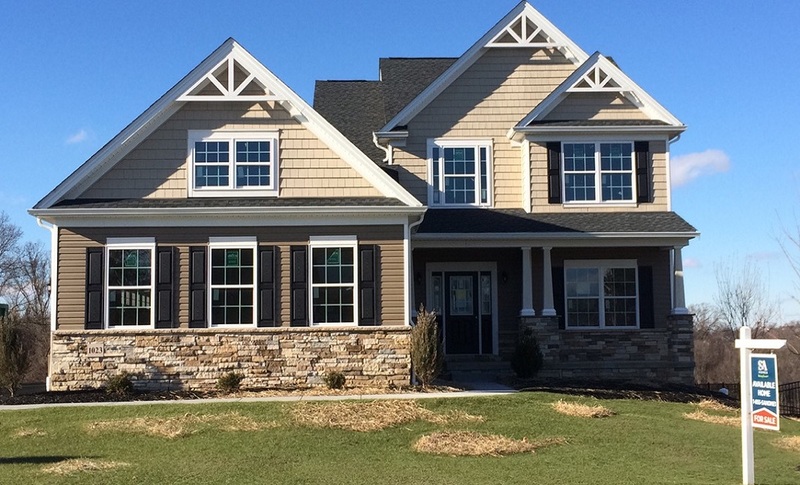 This is a quick delivery home in English Farms (outside of Pittsburgh in Wexford, PA). 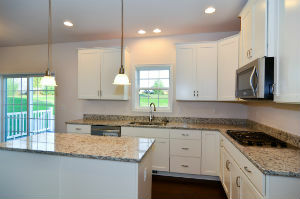 consider a ranch home in the popular Piatt Estates community. 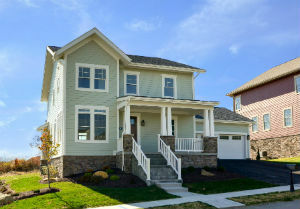 And we have many beautiful Craftsman-style homes ready for immediate move-in in the Venango Trails and Newbury communities which have proven to be amongst Pittsburgh’s hottest selling neighborhoods. 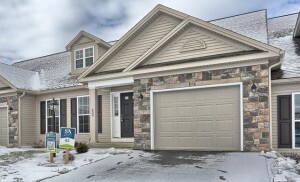 For those who may be considering real estate in State College, PA, we currently have several homes under construction in our most popular new home communities such as Hunter’s Chase and The Landings, both of which are located just two miles from the Penn State Campus and attractively priced from the $200,000s. 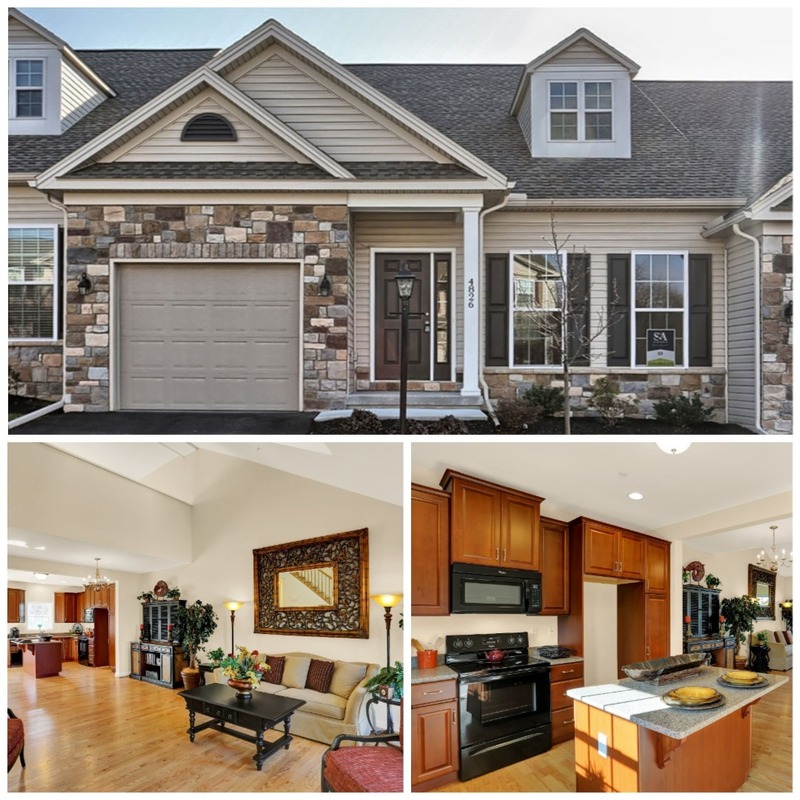 This is a quick delivery home in Stonehedge, priced for $199,900, in Carlisle, PA.
Those along the I-81 corridor don’t need to miss out either. 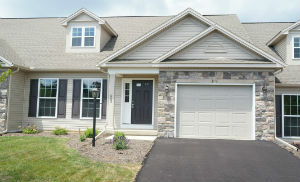 We have several maintenance-free first floor living options near downtown Carlisle at Stonehedge, and other homes under construction in our Deatrick Village neighborhood located in Gettysburg, PA.
For a complete list of all of our quick-delivery homes complete with photo galleries and virtual tours, please visit us at www.sahomebuilder.com or call us at 1-888-SAHome1. 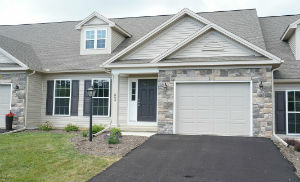 If you are looking for a move-in ready low-maintenance home in Harrisburg, Carlisle or Gettysburg, you are in luck. Between now and November 17, select homes in our Amesbury, Stonehedge and Cannon Ridge communities are offering limited time discounts ranging from $2,500 to $5,000 on top of the lowest prices of the year. 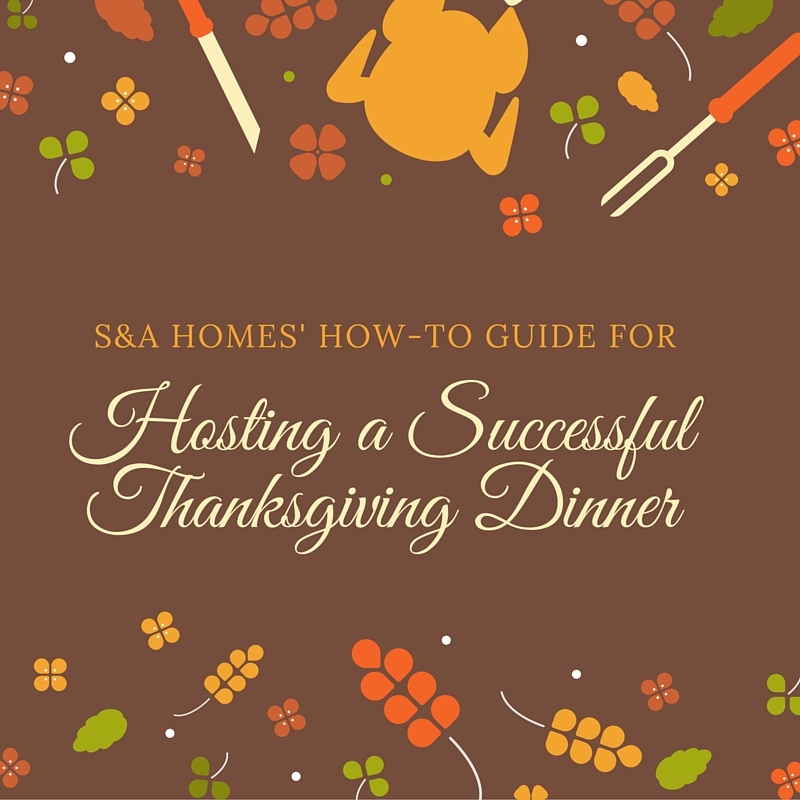 Each of the three homes is located close to area roadways and is convenient to the area’s premiere shopping and dining destinations. Quick Delivery Clearance Event Starts Today – Don’t Miss Out! If you have been dreaming of a new home but can’t imagine the hassle of building from scratch, this is your month to be out looking. 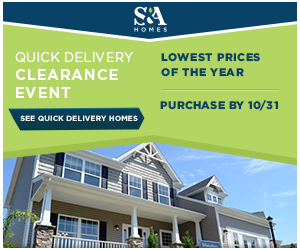 Today through the end of the month, S&A Homes is marking each quick delivery home down to rock bottom prices. The lowest prices of the year, in fact!